The key to a good fit is accurate measurements. Ankle Length for a Dress: Measure from the crest of your shoulder, down over the apex of your breast to the top of your instep. 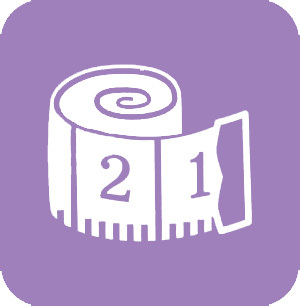 Our sizing system reflects 30 years of working hands-on with lots of plus size bodies. Dressing women from 14 – 34, petite to tall is tricky and we learned them all first hand. Measure and multiply by 4. Voila! If your hips are a size larger than your bust, you’re a Pear and may order bottoms a size larger than tops. If your bust is a size larger than your hips, you’re an Apple and may order tops a size larger than bottoms.